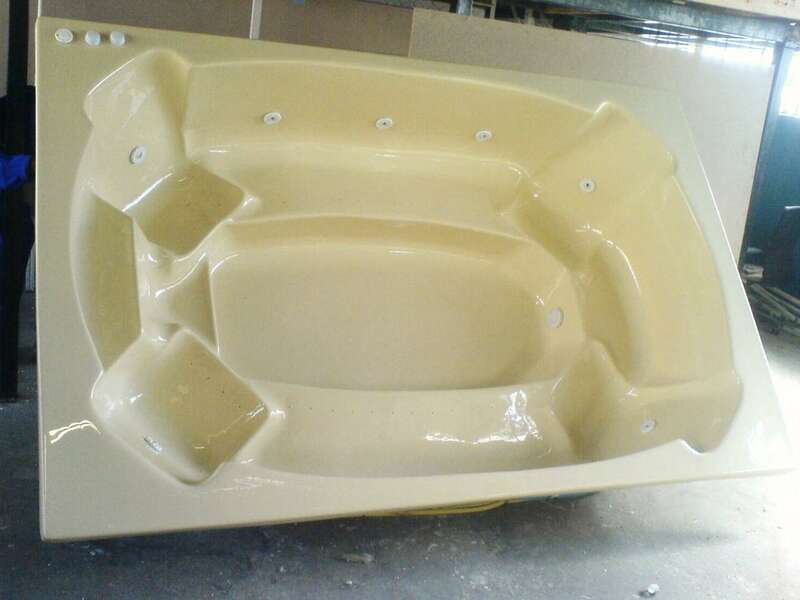 All parts and equipment are locally manufactured. 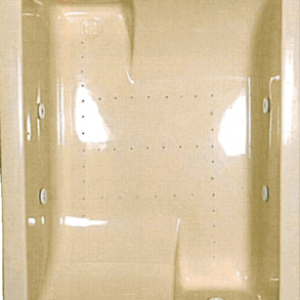 We carry all of our products which is standard on our units. 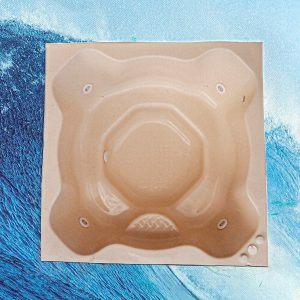 The Jacuzzi shell carries a 5 year guarantee. Jet pumps have a 1 year guarantee. 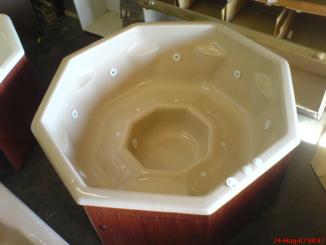 As we are manufacturers, we can design and alter whatever your specific need is for your jacuzzi. 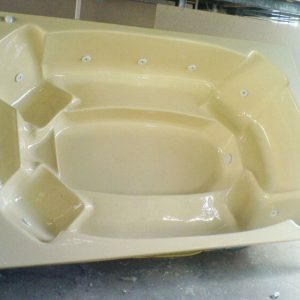 The Jacuzzis can be manufactured in portable wooden boxes. We use high quality wood for our wooden boxes. Our patented Plug & Play system requires no electrical installation whatsoever. Thus saving you electricity and money. Just fill with water, plug into closest socket and PLAY! 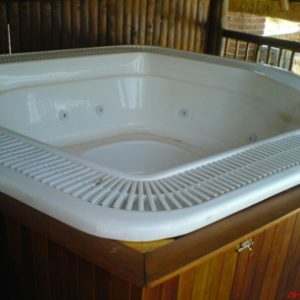 Jacuzzis can be installed into wooden decking. In ground installations for permanent fixture. 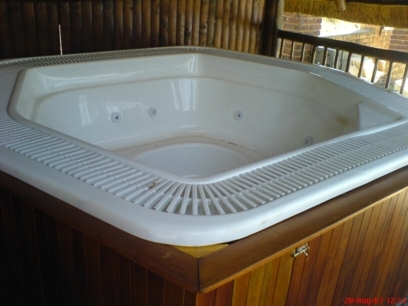 Brickwork and tiling is also an option. Rock art finishing gives that outdoor feeling and atmosphere. 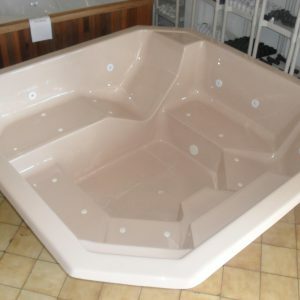 This square shaped Jacuzzi is a small 4 seater for those small awkward places where space is limited. Two recliners for the two adults who doesn’t share their spa. 2 Glasses of champagne and bobs your uncle. 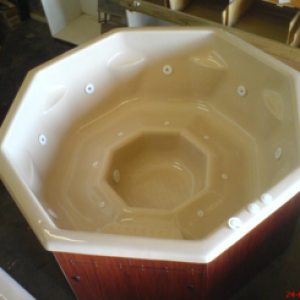 The octagon shaped spa suits corner installations and doesn’t take up too much space. Considering it is a 6-8 seater, this unit allows all persons to be seated at the same level and height, this making it very sociable. 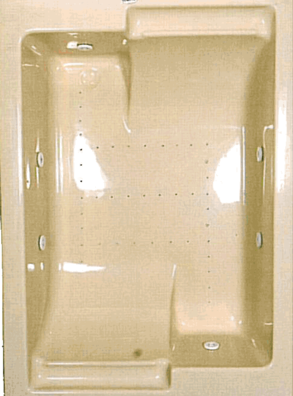 This high tech unit allows for ample modified jets installation. 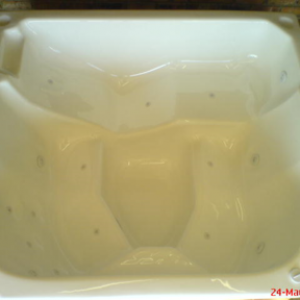 It is slaughtered with an angle that allows for full body massage. For people with back and neck problems, this is a must! 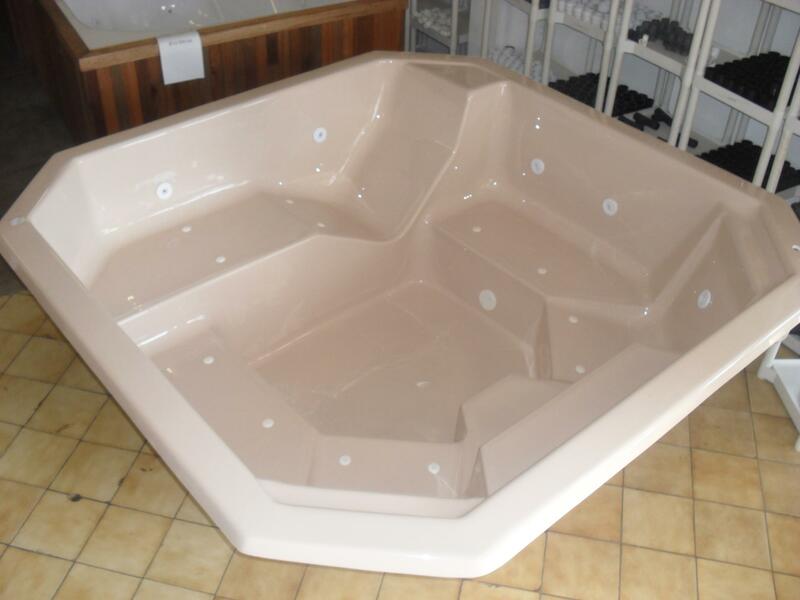 This great 10-12 seater is great and even more enjoyable with the recliner seat. Soccer team special. 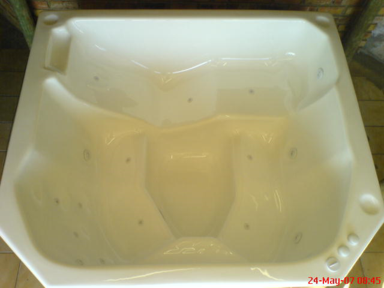 After a hard game it will relax the muscle in the warm water or fill it with ice to prevent further injuries. 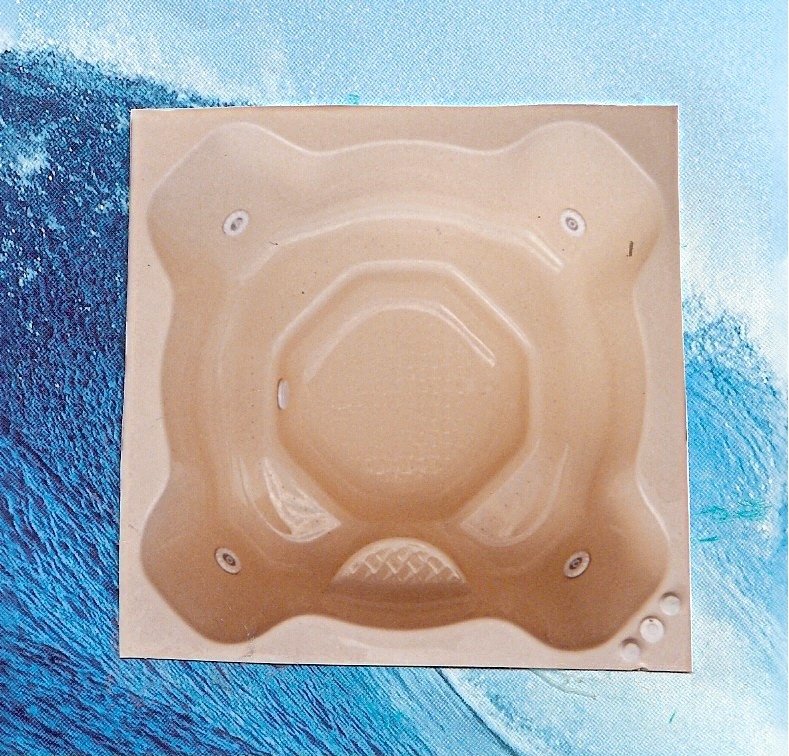 The big family or a holiday resort will also enjoy this one! Top of the range for the executive. This is the only one in its class. Fill it right to the top and see it overflows. Nice, very deep and covers you right to your neck. Great stuff!